When toys overflow from a room, salvaged lockers can be a great storage tool. One Charlotte family learned that first-hand as they moved into a new home. Their 3-year-old daughter brought along boxes full of toys, and no amount of closets or tubs would allow easy access and the peace of mind Mom wanted when it was time to straighten up. 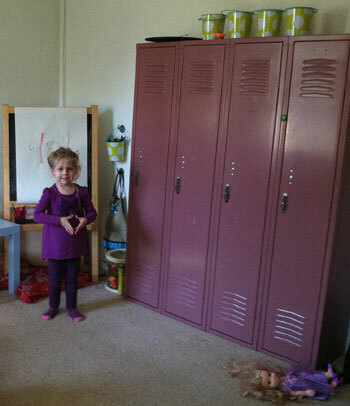 Lockers Unlimited had the perfect solution for the family: salvaged mauve-pink lockers. The lockers were outfitted with multiple shelves, and were anchored to the playroom wall for safety. 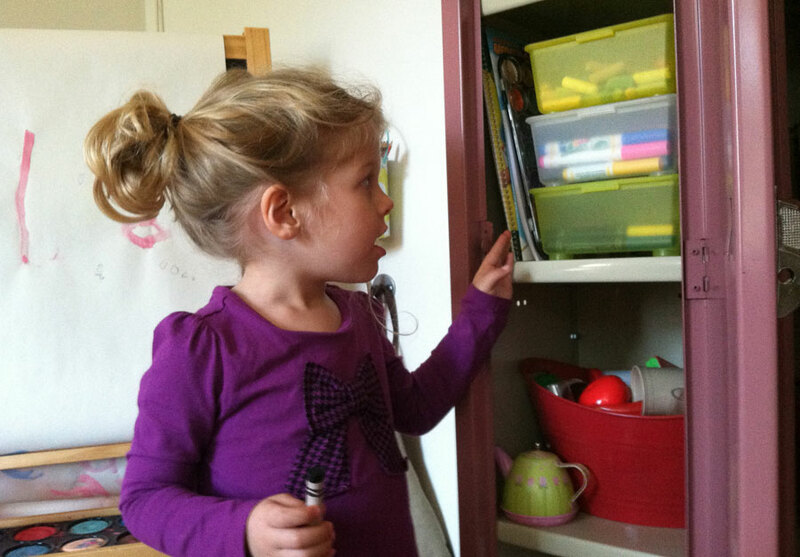 The locker handles are the perfect height for the preschooler to reach and open. Lockers Unlimited carries a large assortment of salvaged lockers. Click here to browse our current inventory.